This past weekend I had the pleasure of attending First State Comic-Con. During this event two films came into my possession. Both of these films offer such entertainment value I had to share them with you my loyal readers. Imagine if you will a down on his luck child’s party clown with an imaginary puppet friend, a drug addict girlfriend and a habit of removing his pants and eating the birthday cake before its time and you have the basic premise. Written and directed by Rob Dimension and Matthew Burd, this film has a sharp look that gives it the feeling of a nineteen seventies exploitation film. This look serves the film well as its imagery leaves a permanent impression on ones mind. Every shot takes us deeper into the psyche of this deranged but sympathetic clown whose only wish is to make a life with his love, but the fiendish drug dealer waists no time in bringing him crashing down. 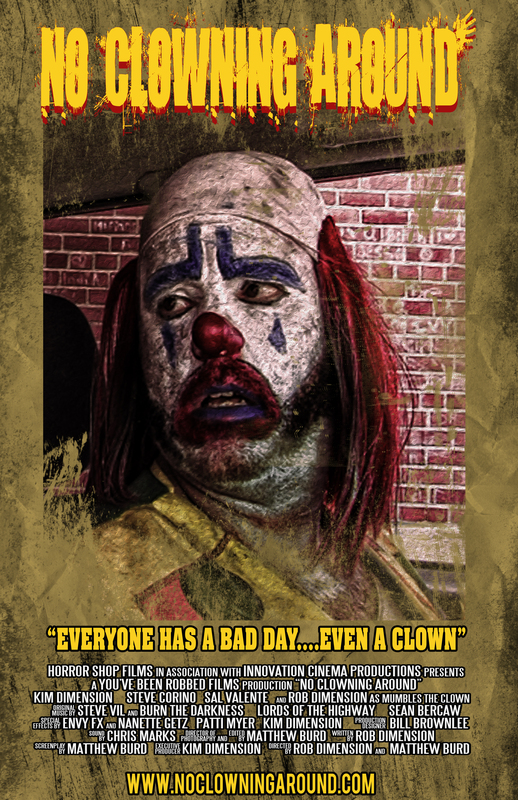 Rob Dimension himself gives a convincing and nuanced performance as Mumbles the Clown. Our “hero” who is pushed to the edge by mental illness and the loss of someone he holds most dear. I highly recommend this film to lovers of independent exploitation cinema. Now for the second film in our double feature. 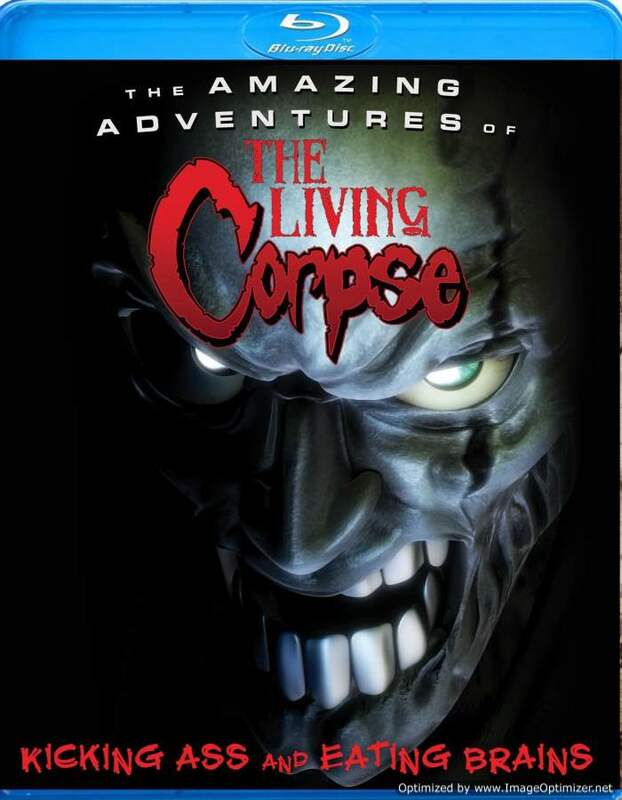 The Amazing Adventures of the Living Corpse is an animated film that would feel right at home as a Saturday morning superhero staple, were it not for the main character having an incurable hunger for brains. I hope you enjoyed this review. Please stay on the lookout for my podcast from the First State Comic con as well a video supplement which will be posted in the next few days. This entry was posted in comic convention, Movies, reviews and tagged Amazing Adventures, Amazing Adventures of the Living Corpse, Animation, Arts, Clown, clowns, conventions, movies, Netflix, review, Saturday, zombies. Bookmark the permalink.